What I like about the Yosemite National Park is that it's easy. It's easy to get to. It's easy to get around. It's easy to get close to nature. 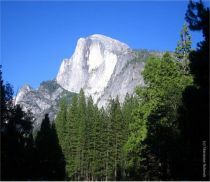 Yosemite National Park in Northern California is a very popular travel destination. 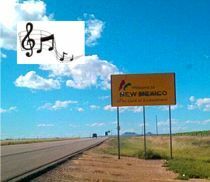 It's no wonder the park is swarming with tourists from around the world during peak summer months soaking up the park's natural beauty from water falls, to river streams and hiking trails overflowing with sightings of wildlife. I have heard about the beauty of Yosemite for years and I've lived in California for two decades, but I only recently took my first vacation to this national park. The big question: Why did I wait so long to drive just five hours north of Los Angeles to take in all the beauty and majesty of this gorgeous national park? Where to Stay. 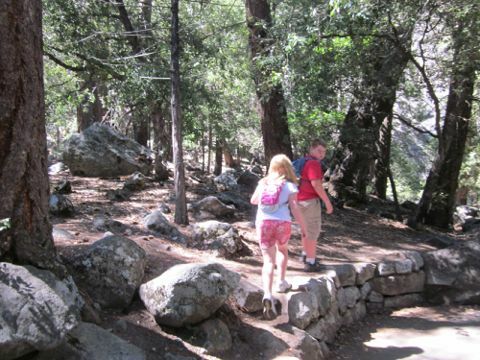 Yosemite National Park is an extremely popular vacation destination so if you're planning on visiting the park in the peak summer months, you must book your stay well in advance. In order to get your preferred place to stay, whether it's Yosemite Lodge, the four-diamond Ahwahanee Hotel, the Wawona Hotel or America's favorite campground Curry Village, you'll need to book a minimum of six to eight months in advance or your preferred dates may be sold out. The Yosemite Lodge sells out in January for the summer months but Yosemite campgrounds may be the easiest to book last minute if you're just going to pitch a tent. You may have a little more luck booking a vacation rental if you've waited until four or five months before you want to visit Yosemite National Park and there are usually plenty of hotels located outside the park like Tenaya Lodge, but then you'll have to spend 90 minutes each day getting into the park if you want to spend time on the Yosemite Valley floor - the most popular area of the park. 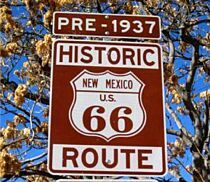 Don't be deceived by the relative short distance as you'll be traveling on winding mountain roads with lots of summer traffic unless you leave early in the morning. 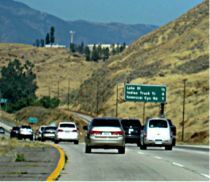 If you're looking into a vacation rental, Yosemite West is an ideal location, but it will still take you about 30 to 45 minutes to drive to the valley floor each day. We booked our vacation rental through Scenic Wonders. Also, we rented a cabin, Sunset Hill, that had 89 steps just to get up to the main entrance which was rather inconvenient for schlepping luggage and groceries into the home. But once we made it up the steep hill, Sunset Hill was an awesome place to stay and a very good deal for Yosemite since it had three bedrooms and two bathrooms. One final note, be prepared that staying inside Yosemite National Park is not cheap. Things to Do. 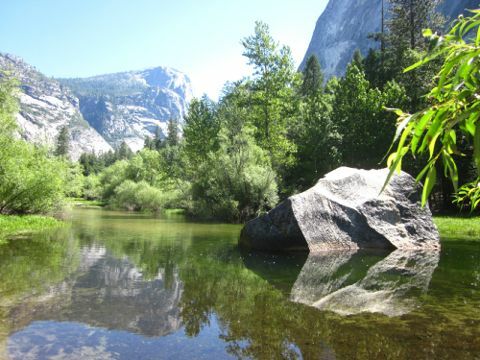 You will not be at a loss of things to do in Yosemite National Park. 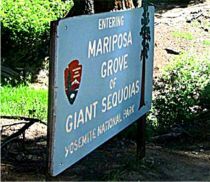 As you enter the park from the South entrance, you'll want to spend at least a half a day at Mariposa Grove home of the famous California giant sequoias, one of the largest living things on Earth and here you can view almost 500 spectacular giant sequoias. Be sure to plan on visiting the grove first thing and get there early in the day during the summer months to avoid the crowds. Two must do activities, in my humble opinion, include bike riding and horseback riding. 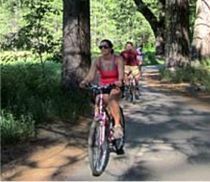 Yosemite biking is one of the easiest and fun ways to explore the park. 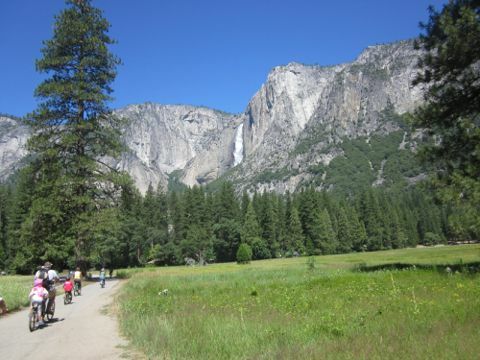 If you have only one day to spend in Yosemite Valley, then you must rent a bike for the day and tour the entire Valley. 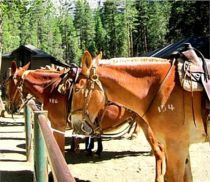 Another unique way to experience Yosemite Valley is to take Yosemite mule and horseback rides. 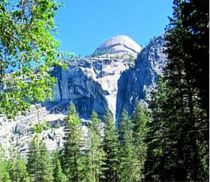 So if Yosemite National Park is on your bucket list of travel destinations (and it should be), plan your visit well in advance to get the most of your stay to one of the world's most beautiful areas.